Unrivaled speed, uptime, and scalability make Pantheon’s high-performance hosting platform the best place to host WooCommerce sites. Never again fear an unplanned traffic spike. Scale your website easily and immediately. Billions of requests a month are handled in software—this is smooth scaling for WooCommerce. Move your WooCommerce site to Pantheon with our hassle-free migration services. Not only do we deliver better results now, but our Dev -> Test -> Live workflow gives you the tools to safely optimize your site into the future. Innovate away with confidence. Your business is too important to depend on a technological black box with unreliable performance. WooCommerce sites that run on Pantheon’s Google Cloud infrastructure don’t go down when traffic spikes, when security updates are applied, or servers are upgraded. Pantheon powered sites come up higher in search engine rankings, too, driving customers to purchasing decisions faster. 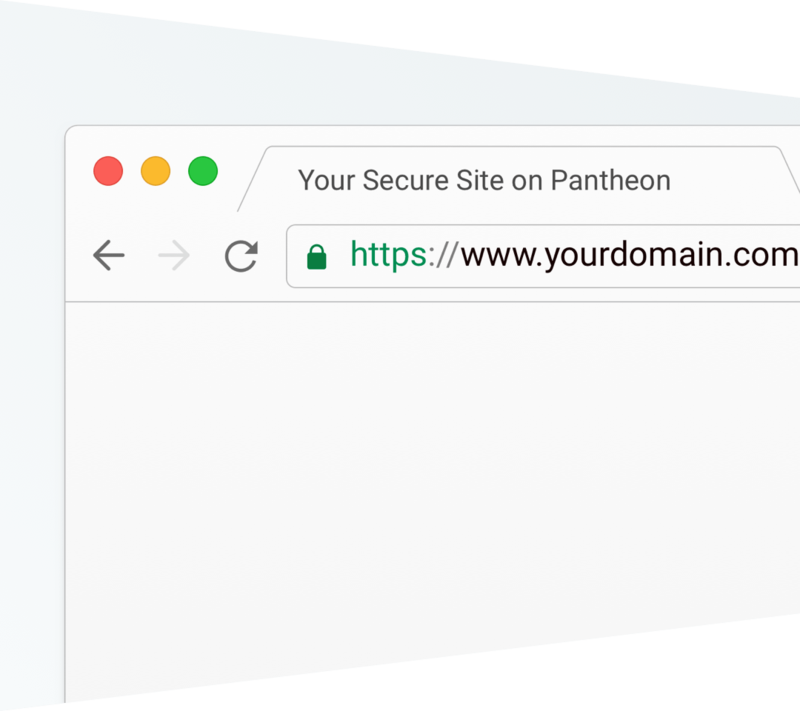 Pantheon is the only WooCommerce hosting platform to include fully managed and free HTTPS certificates deployed via a global CDN (Content Delivery Network). Secure infrastructure and carefully configured access to resources are also best practices we follow around safeguarding data. Pantheon is the fastest, most reliable high performance hosting solution for WordPress websites. Our modern, container-based infrastructure allows your site to scale to millions of pageviews without negatively impacting performance. Built-in, hardened security features are integral to Pantheon. Secure infrastructure, encrypted channels, and least-privilege user access. Pantheon helps you achieve sub-second page loads around the world thanks to Global CDN, powered by Fastly. Easily create feature branches for your sites or fix and test patches in isolation with Multidev environments. Pantheon runs over a million checks a day and alerts you about any potential performance issues. Help your organization achieve more value from your websites with Pantheon. A WooCommerce site is continually accepting data; orders can be processed at any time. If you pull a database down and push it back up, you’re going to lose orders in the process. With Multidev set up, you don’t have to take the site offline to make changes. Join Staging Pilot, Mode Effect, and Pantheon, as we discuss how to ensure that your WooCommerce site stays reliable and performant. Join Pantheon and Grow Development as they look at how to identify and upgrade customized WooCommerce templates.